Of course you need cute little containers and labels for treats, right? YES. Here are some fun pillow boxes, mini candy bar wrappers, and little-ish fry boxes (they're not really little, but they are smaller than our usual fry boxes). 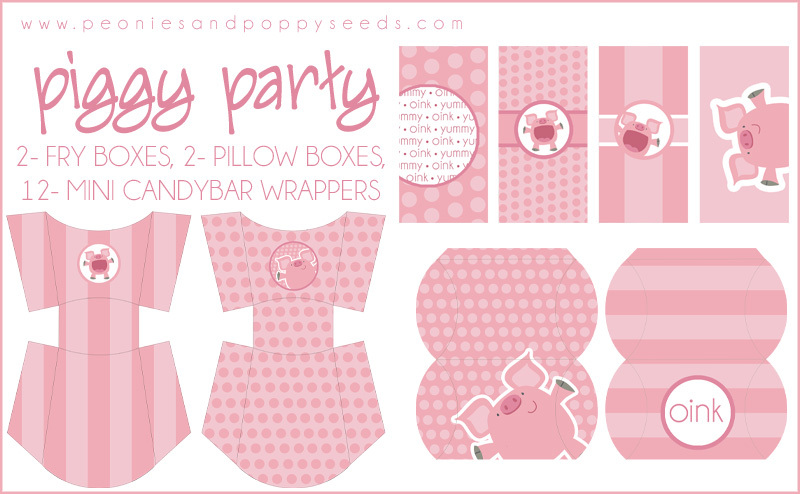 Be watching next week for the last piece of the Piggy Party Printables - party hats and a banner!